The desire for joy lives in all of us. It seems to be as elusive as happiness, yet is present in our daily encounters and experiences. A walk in nature, a joyful memory recalled, patting your dog, hugging a friend, these are all brief moments of joy that we miss because we don’t focus on the joy. We often seem to place our focus on that ever present problem, that never-ending To-Do list, that nagging doubt, or that worry that has us entwined in thoughts that deliver stress and steal joy. 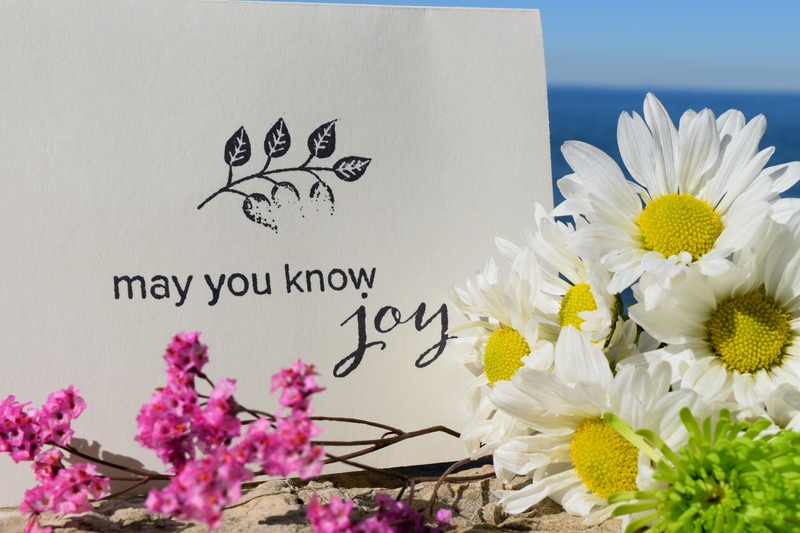 A simple way to way bring joy into your life and to spread joy among others is by daily use of May You Know Joy meditation cards and intention cards. The joyfully inspirational doses of wisdom will have you focused on living with intent, and being mindful of your thoughts and emotions. These little gems of positivity were created by Adrienne Enns Edgar who calls herself the Chief Joy Curator of the May You Know Joy company. The joy that Adrienne brings into her own life hasn’t come easily. “Desperately trying to live up to unrealistic demands from the world around me, I checked in less and less with my feelings, my dreams, my purpose and myself. I went through the motions and numbed out my feelings as best I could until I couldn’t. I was running on empty. I was miserable and completely depleted. At a very bleak moment, a gentle voice (or whatever it was) let me know that it was time for a complete overhaul and I could do it – I had to do it. But, I had to do it by myself for myself.” And she did. 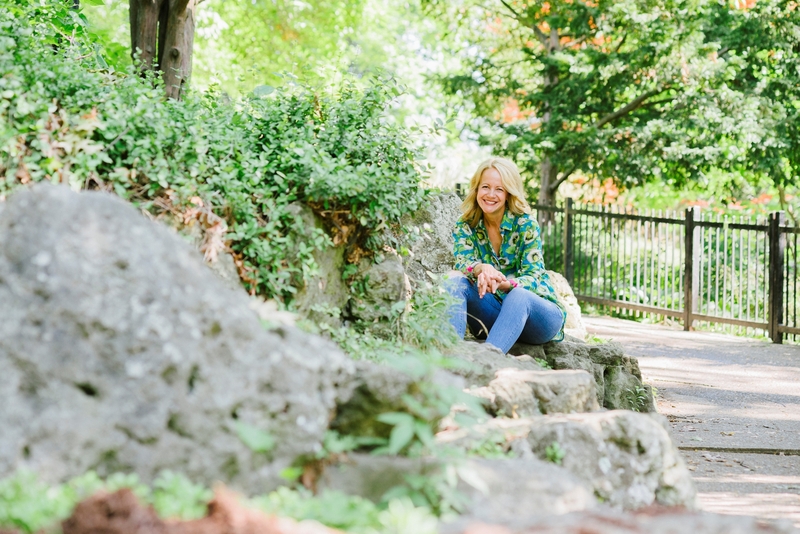 Believing that, “Joy is a choice,” Adrienne now lives each day with intention and on purpose, as a life coach and creator of the May You Know Joy company. 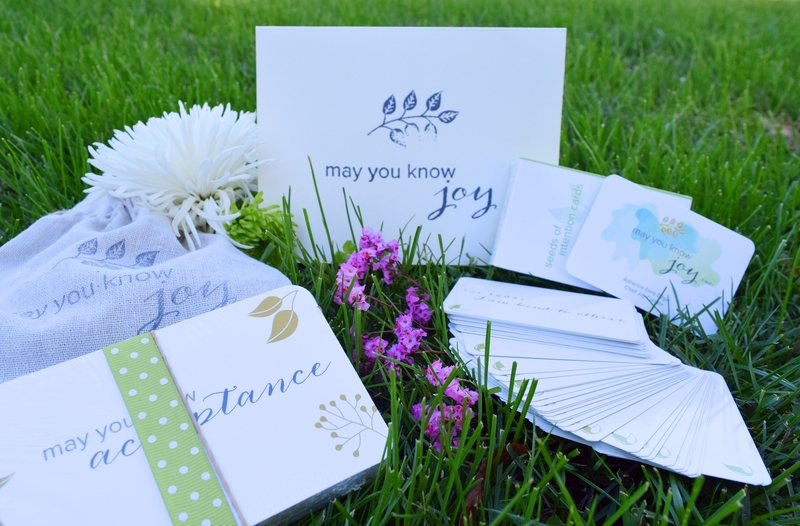 Spreading joy with beautifully designed Intention cards, meditation cards, and a joyful book entitled Meditations for Everyday Living, Adrienne is living her belief and making joy a choice. Follow her for daily joy on Instagram at MayYouKnowJoy. 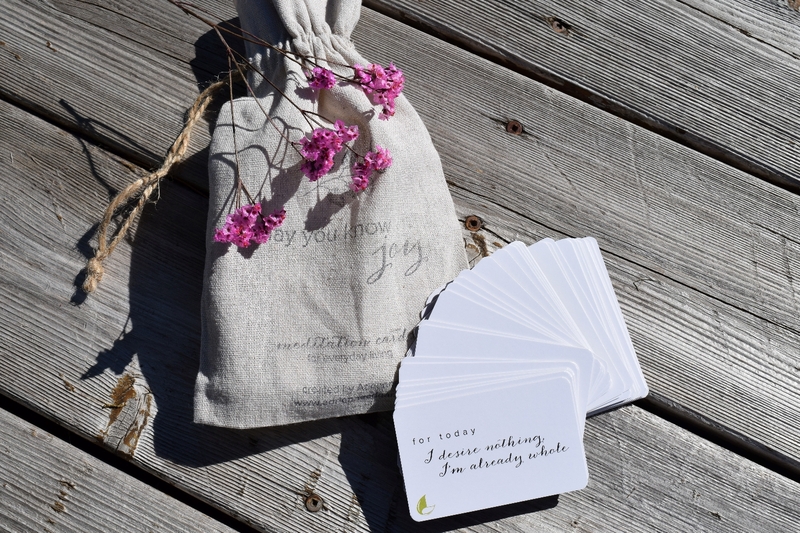 Exquisitely packaged Seeds of Intention Cards provide daily thoughts for you to abide by. I shuffled the deck of 42 cards and pulled out one intention to live by for the day. My card read, “For Today, I am kind to others.” That propelled me into a random act of kindness that will undoubtedly bring joy to someone else, and as they pay it forward they spread that joy even further like an echo of positive energy. 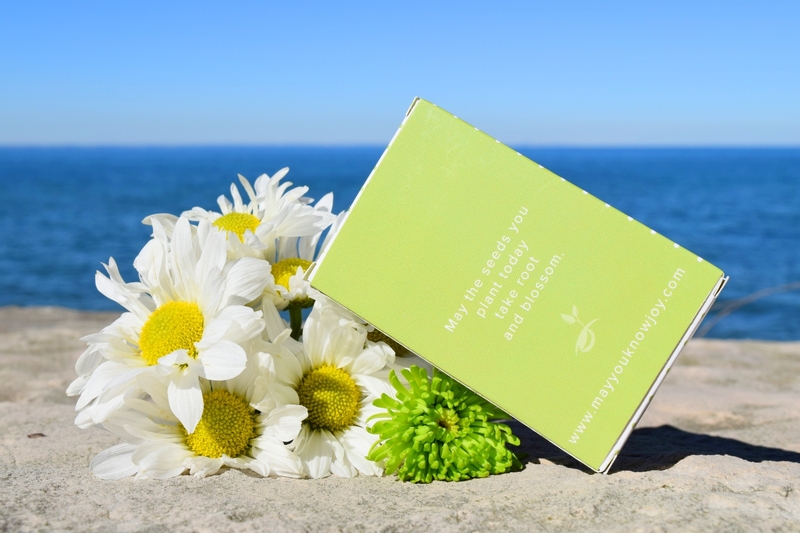 Included in the joyful package we received was a pretty package of 44 meditation cards neatly wrapped in a beautiful chartreuse polka dot ribbon inside a jute drawstring bag. 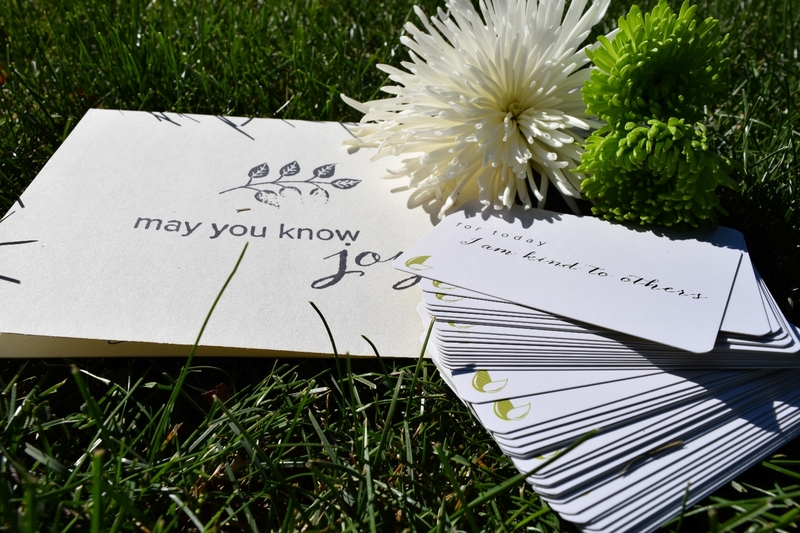 The meditation cards give pause and call for a brief moment of reflection in a harried world. 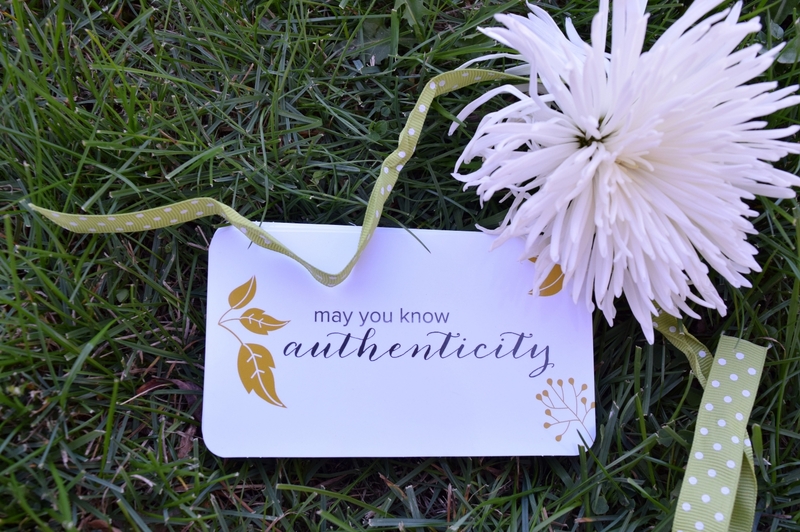 My favourite, “May you know authenticity,” brings to mind the joy of just being yourself. Living authentically means you get to be exactly who you are regardless of what anyone else thinks. You can bring light into someone else’s life by stuffing your loved one’s stocking with May You Know Joy this Christmas, or take it along to a get-together as a fabulous hostess gift that will keep on giving. 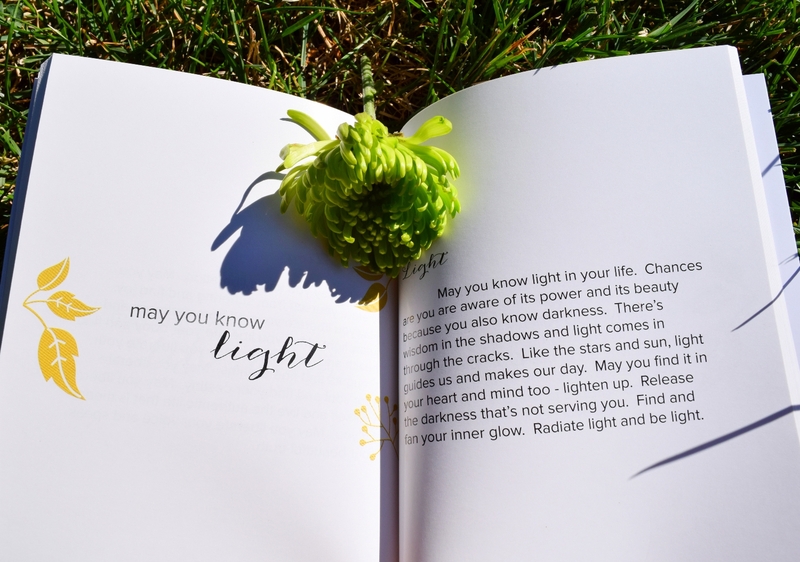 You too can experience the sheer joy of May you Know Joy, because Adrienne is graciously offering 3 lucky readers the opportunity to win a prize pack that includes a package of Seeds of Intention Cards and a package of Meditation Cards. Comment below – Where do you find joy? Giveaway contest is open internationally. Giveaway contest begins at time of publication October 13, 2016 and ends October 27, 2016 11:50pm EST. Winner(s) will be randomly chosen and notified by email by November 7, 2016. Winner(s) must reply to notification email by November 14, 2016 11:50pm EST. Failure to accept prize within the designated timeline will result in forfeiture and a new winner(s) may be chosen. Decision on winner(s) is final and prize is non-negotiable, non-substitutable, and non-transferable. Increase your chances of winning by entering on our Instagram too. I find joy within nature, especially whenever I go hiking. Thanks for the giveaway! I find joy exercising & being healthy, and doing my hobby. I find joy in helping my elderly mom. i find joy by spending time with my pets, friends and mum too thanks for the nice prizes! I find joy in my family, especially my two sons. They find ways to delight me every day! I shared on Google Esther Swartz) and on Pinterest (Starrbuxfrk). I find joy in observing the beautiful things in life, like pets, birds, flowers, sunsets, babies, etc. I find joy in spending quality time with my nieces, nephews and family. I find joy spending time with my husband and 3 boys, they keep me grounded! I find joy in the little things every day. I also find joy in playing with my dog. My husband, daughter, son-in-law and grandsons are a joy! I find joy living on our farm. The scenery get more beautiful as I get older and I can appreciate it now that our children are grown. I find the greatest joy with my elderly rescue cats. I have small shelter for them. 13 at the moment. Once I became a mother joy found me! Now I am a g-ma & couldn’t know that even more joy was at hand! Family is everything to me! So joy equals all things involving motherhood, being a grandparent & having my family! I find joy in moments spent with my family including my dog. Time with them is precious. I find joy out in the woods of Big Bear Ca! I find Joy in my daily reflections of all the wonderful people I have in my Life. I find joy in so many different things, running, our pets, being with family, traveling, friends, meeting new people, and date nights are just a few. I find joy in my happy little family and our beautiful apartment! I find joy in helping less fortunate & the animals. Wow, I really love this, so very inspirational and enlightening! I find joy in my home with my husband and pets. I also find a very relaxing, calm joy, when I sit in my feral cat room, where all my rescued feral cats reside. It is very peaceful in there, seeing where all these cats came from and how far they have come. I Like TryBelle Magazine’s Facebook Page. I find joy in friends, family, and just being alive! I find joy in reading. I find joy in my 3 beautiful and healthy kids! I find joy in my family. I find joy in my classroom. I find joy in my cats! They are calming and always take me out of myself! I find joy in a beautiful warm sunny fall day walking through the crisp fallen leaves. I find joy when spending time with family! I find joy in walking in nature. Love the scent of trees, crashing of waves, glimpsing wildlife! I find joy when I am with family. I also find joy when I am surrounded by nature. I tweeted! Joy, is found in many areas of one’s life, being kind and gracious to all others around you brings joy to me and understanding that nature has its own plan and we as a race can help take care of this plan. That is joy to me. I find joy in nature walks. I find joy in my children. I find joy in nature and good people. Thank you for the amazing giveaway! I find Joy in my Friends. I find joy in help others & the animals. https://twitter.com/ I followed and tweeted. I find joy in nature and my family. I find joy and delight in spending time with my grandchildren. I find joy in my family, boyfriend, and cats. I also find joy in my job. I with at a humane society and see amazing things daily when animals find a second chance at life. I find Joy in feeling thankful for the little blessings in life. I find joy in remembering the loving moments that I had shared with my dear departed Peppy Dog. I find joy in my daughters smile. I find joy in the amazing people I get to love & interact with everyday, and the small things like the clouds, sunrises/sunsets, quiet moments with the guy I love & working out! I find joy in special quiet moments with my son. In a ‘loud’ world, these moments are precious! Where do I find joy? In the moments when my head clears and I stop and think, “this is me…just being”. Joy comes from allowing myself to be present, be aware of my surroundings and share this peace with others. I find joy with the ones I love, my sons, my husband, my family.. I find joy every day. Whether it’s the rain, the birds singing in the garden, the children’s laughter in the playground, these are the little things that bring joy, especially when the day has been really tough. I find the most jpy in feeding my wild birds, watching them daily and learning about the many varieties. I find joy in my children’s laughter! Simple but the best joy I have ever found. I find the most joy in my kids and husband! I find joy in my work,in communing with nature and the love and appreciation from my family and friends! I find joy when I’m alone. From that time until now I refused/refuse to live that way again therefore I had to search and seek to find any sliver of joy and from that tiny piece, joy started to grow. It’s a way to live. I find joy watching my grand daughter play . I find joy in my family!!! I find joy in the quality time that I spend with my family! I find joy in Praying a spending quiet quality time with my Creator. I find joy every time a cat purrs. I find joy spending time with my partner and puppy. I find joy when my wife and I are out in nature hitting the trails together enjoying our surroundings. I find joy within myself. In my consciousness, I am the protagonist of my own story and I live in a world in which God loves me. When I close my eyes, I dream big. When I open them, I realize that I am exactly the person I always dreamed of becoming. When I live, I take control over my sorrows. When bad things happen, I find joy in knowing I have such a deep capacity for feeling. I find joy in all the people and things around me. I find joy in living, loving, and traveling. I find joy in my husband. He is so terrific. I find joy living in my country(Canada), knowing I am free to live my life for Christ, who gave His life for me. I find joy on the bicycle path. I find joy in my faith and my family. I find joy in making other people laugh and smile! I find joy with my friends and family! I find joy by immersing myself with people I love and with things I love doing. I indulge in fishing, hiking, lunches with great friends, and nights watching movies with loved ones. Simple things. Profound things. That is my joy. That is my life. I find joy whenever I am spending time with loved ones. I find joy in learning new things and having new experiences.